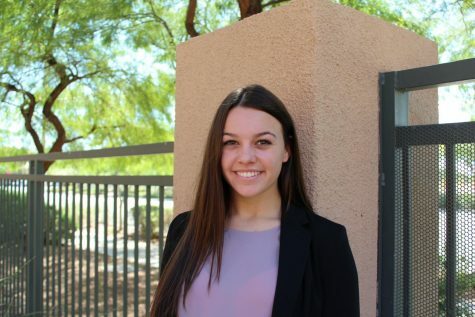 Sarah Butler, currently a senior at Faith Lutheran, is now entering her seventh year at Faith. Sarah started Broadcast Journalism in the eighth grade because she loves meeting new people through the class and exploring the world of journalism. Outside of the Film & Broadcast Academy, Sarah is involved in Track & Field, Student Council, ViSA, and the Brookie Foundation. She strives to make people happy and do her very best at everything, including journalism.